"If we can manage to do something about the Compilation titles..."
Nomura is the director of both Kingdom Hearts III and Final Fantasy VII Remake. The former was announced at E3 2013 and will finally be released in January 2019. The latter was announced at E3 2015 and is without a release date. The Compilation of Final Fantasy VII mentioned by Nomura is a series of titles set in the world of Final Fantasy VII, including the mobile game Before Crisis: Final Fantasy VII, movie Final Fantasy VII: Advent Children, PlayStation 2 game Dirge of Cerberus: Final Fantasy VII, PSP game Crisis Core: Final Fantasy VII, and more. 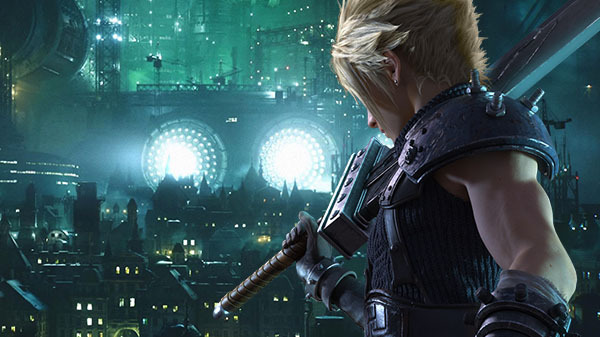 It seems that Nomura is suggesting there may be some sort of resurgence of these titles with the release of Final Fantasy VII Remake.